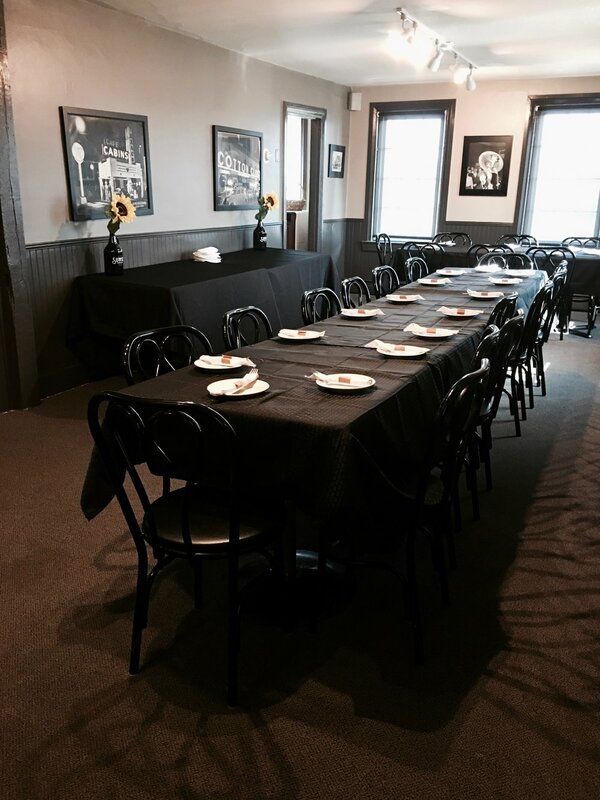 Sunset Grille has the perfect spot for your next private dining event. Thank You for making our daughters rehearsal dinner fabulous! Tina R.
We had so much fun at the Sunset Grille for our work party! The food and service were excellent! Jim L.
Thank You for making a difficult time a little bit easier. After the passing of my mother, we were thrust into a frenzy of decision making. Our Funeral Luncheon descision at the Sunset was one of the best ones we made. Thank you so much for paying attention to all the details and making everything wonderful for us. Lynn L.
You can view all our group dining menus right here. If you have any questions, please give us a call at 610-395-9622 or emai us at info@sunset-grille.com. Visit our website for more info on our party rooms. Sunset Grille offers several options for your private dining needs. We have an upper level with two completely private rooms along with a restroom. Our smaller room accomodates up to 15 while our larger room will comfortably seat 36 guests. Our Buffet options can't be beat for the price and choices. Perfect for funeral luncheons, memorial services, retirement parties, rehearsal dinners, baby showers, birthday parties and more. We offer a Happy Hour Buffet for $13.95 per person which is great for your next after work cocktail party. Luncheon Menus start at $16 and includes Fountain Sodas, Coffee or Tea, Chips & Salsa. A great option for your funeral/memorial luncheons, business lunches or other types of daytime gatherings. Dinner options include a well appointed buffet or a full service dinner complete with appetizers and desserts. The choice is yours.